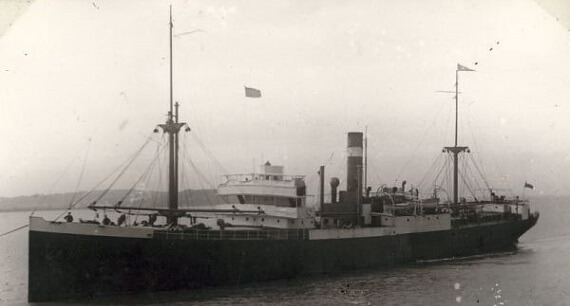 SS Etrib (1919-1942) At 58 minutes past midnight on 19 June 1942, U-552 fired a spread of two torpedoes at two overlapping freighters in convoy HG-84 about 400 miles west of Corunna, Spain. The SS Etrib and the SS Pelayo sank after being hit by one torpedo each. 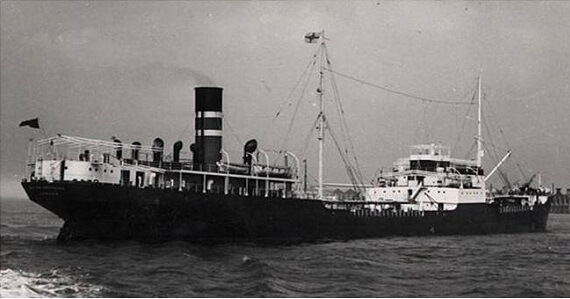 SS British Grenadier (1922-1941) At 22.52 hours on 5 June, 1941, the unescorted SS British Grenadier was hit amidships by a torpedo from U-103, while steaming on a zigzag course southwest of Freetown.